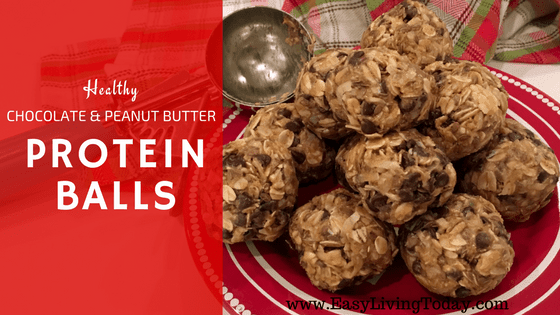 These healthy peanut butter protein balls are amazing, even my toddler loves them! They taste like cookies- really, really good cookies! The best part is that they’re super easy to make. Aside from refrigerating them, they only take about 10 minutes to make and require 0 cooking of any kind. If you have a sweet tooth you need to curb, this is the perfect snack for you. 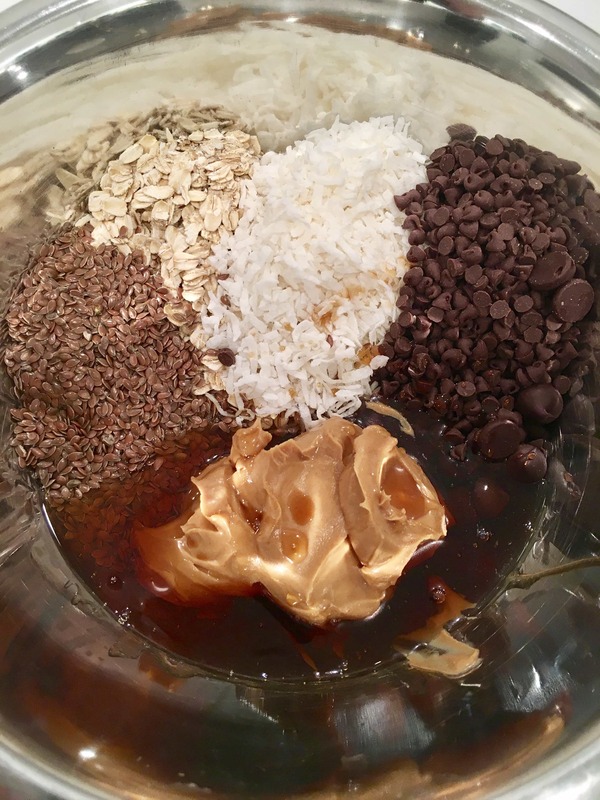 To make the best protein balls, you should use a cookie scoop. 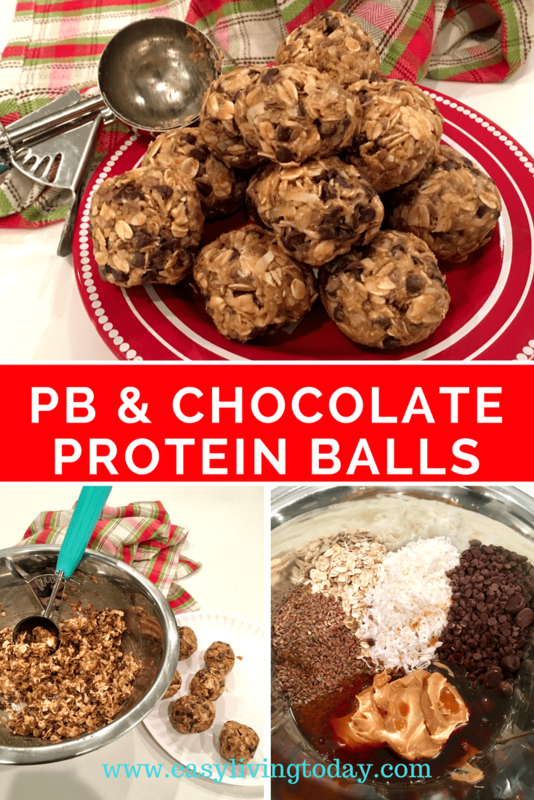 1) It makes the perfect size protein balls. Not too big, not to small- just right. 2) It makes it easier to get a good shape and make them look nice. 3) Keeps your hands cleaner because you don’t have to do as much rolling. 4) Speeds up the process because it’s extremely easy to scoop and drop. Plus the scoop already rounds most of it up for you, so you just have to round the bottom. 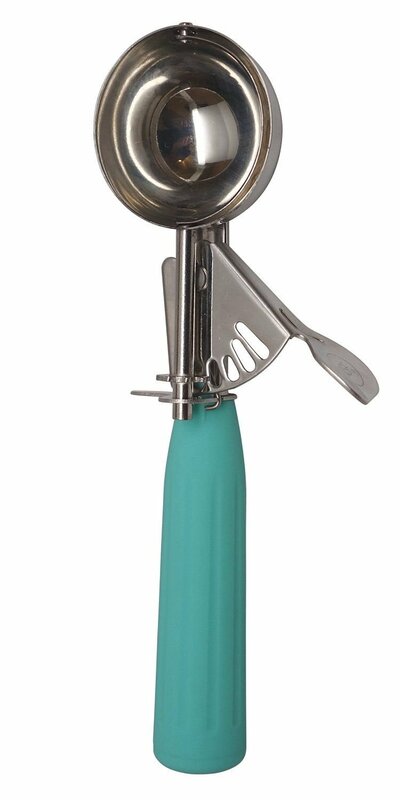 Just make sure you use a cookie scoop with a release lever because that is what makes it so convenient. Another thing you want to make sure of is that you are using the right ingredients. You want the pure and raw versions of these foods, not the super processed ones. 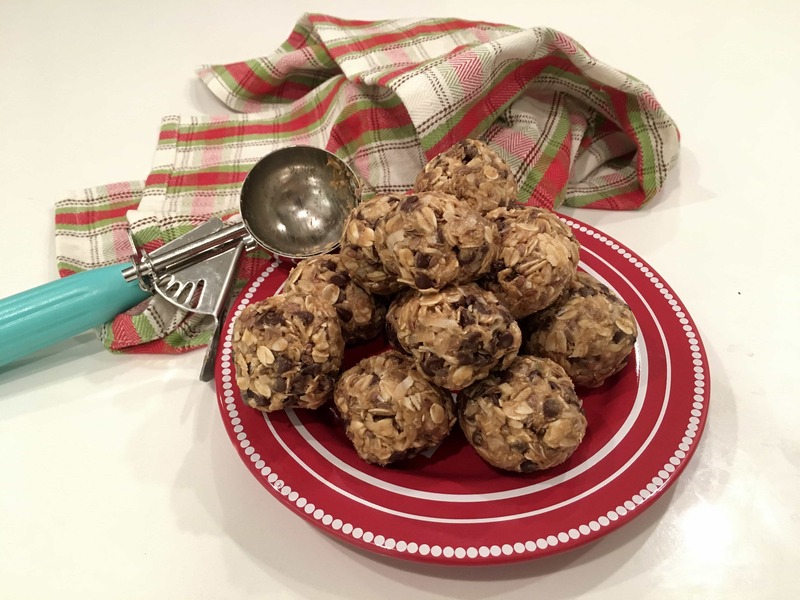 The protein balls are good for a full 7 days as long as you store them in the fridge, in an airtight container. If they’re not in an airtight container, they will start to taste bad much quicker. The good thing is that airtight containers can be used a million times over. They keep food fresher longer because they do not let in moisture or bacteria that causes food to spoil. This means they’re perfect for storing freshly bought or cooked foods. They’re even great for storing oats and sugar. I recommend clear containers so you can easily see what is in them. 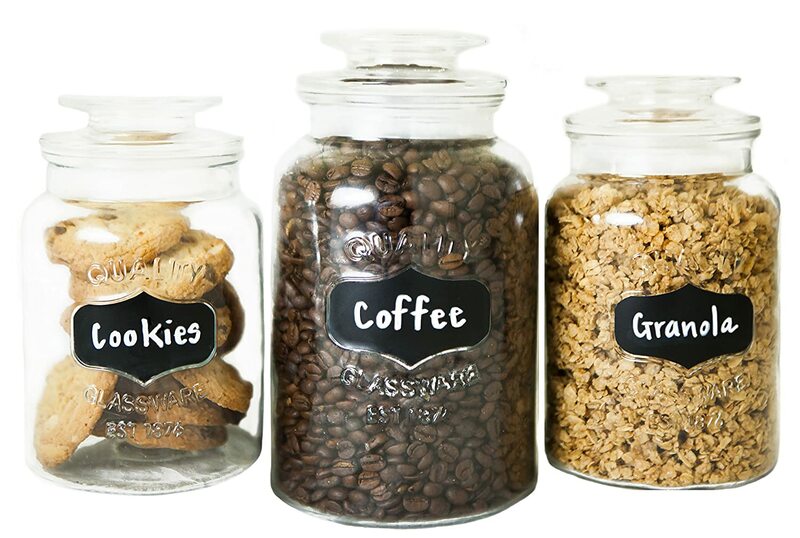 Or containers with labels so that everyone is aware of it’s contents. You don’t want to confuse the formula for protein powder! Cover and let chill in the refrigerator for 30 minutes. Once chilled, roll into balls of whatever size you would like. 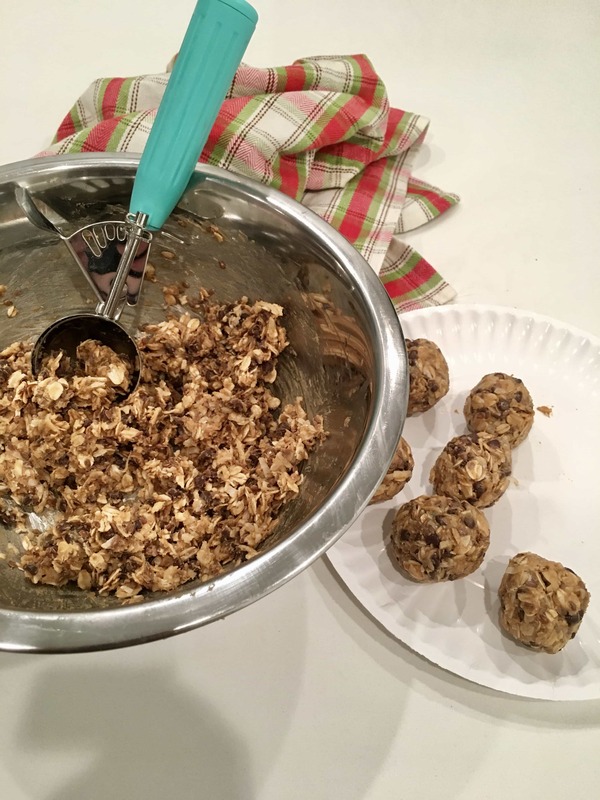 I use a cookie scoop to make the rolling easier. You just scoop it up and drop it in your hand, roll the bottom and done! Get your 21 day clean eating meal plan with over 40 recipes and calories already tracked today!